Wrapping around the Gulf of Mexico, the Florida Panhandle has a vast array of beaches to choose from to relax while on your golf trip. Located in the northerly region of the state, the Florida Destin's moderate weather make it a great place for golf all year round. Below is our list of Destin golf package specials. All packages can be customized to meet your needs. 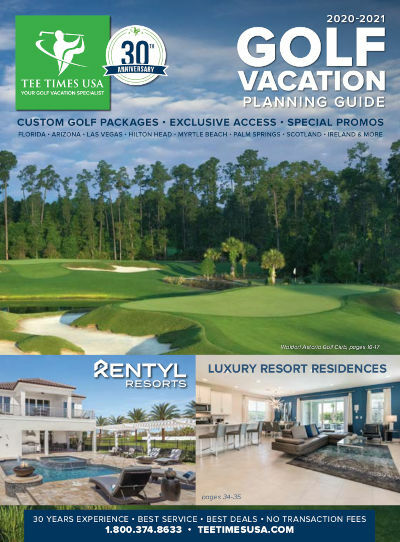 All of the Destin, Florida golf courses are offering very attractive rates this year. Below is our list of our Destin, Florida golf package specials. All packages can be customized to meet your needs. Virtually every course in the Destin area is having one sale or another, we've truly never seen discount prices like this before. In addition to these great golf deals, don't miss Tee Time's exclusive golf group discounts for you and your golf buddies. If you have questions feel free to call us direct and speak with a friendly Florida Golf Vacation Specialist at 1-800-374-8633 or request a custom golf quote - quick and convenient!